Summer brings warm nights and the perfect atmosphere for outdoor patio dining. Set the stage for an evening on the terrace with these six patio dining essentials from shatter-proof wine glasses to vintage light strings. It's a crushing feeling to watch your prized crystal hit the ground and shatter. 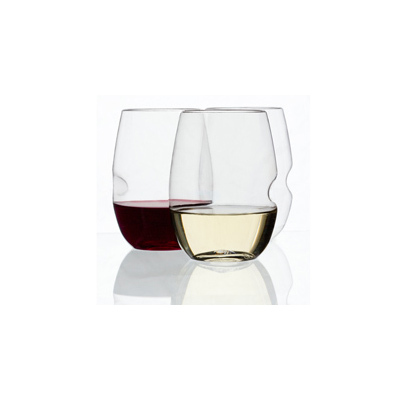 Save your tears with shatter-proof wine glasses. They even have finger indents for better grip! Uproot's clever color-based visual identity system provides a way to see the wine’s flavor profile directly on the front label. Just because the sun sets doesn't mean the party has to end. Create the perfect ambiance with these vintage light strings from Restoration Hardware. Presentation is a big slice of the pie when it comes to entertaining. These handcrafted cutting boards made from Vermont maple are ideal for charcuterie or cheese trays and will look just as good on their own, long after the food is gone. Originally appeared in Say Cheese! These gold plated steel cheese knives from Anthropologie will add a modern Midas touch to any cheese board. Heath Ceramics has been creating beautiful tiles and tableware for over half a century, so it's no surprise that we fell in love with these tea towels. This unique design features silhouettes of their signature ceramic pieces. When the cooking is done, these hopsack cotton towels are perfect for drying off the dishes or for setting the scene at the table.